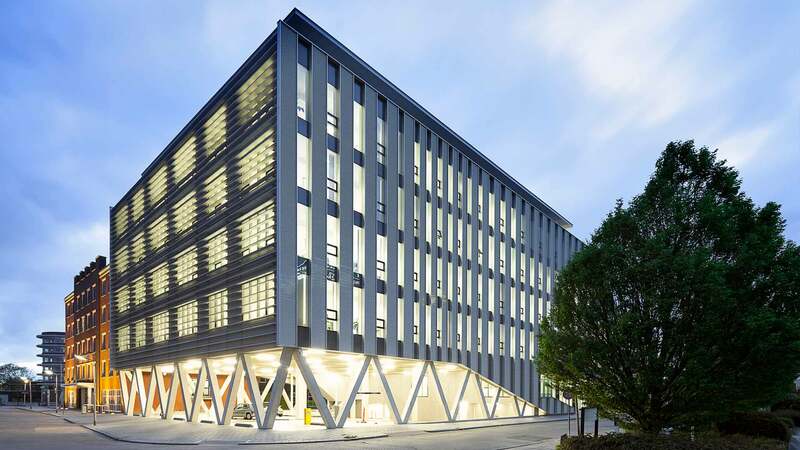 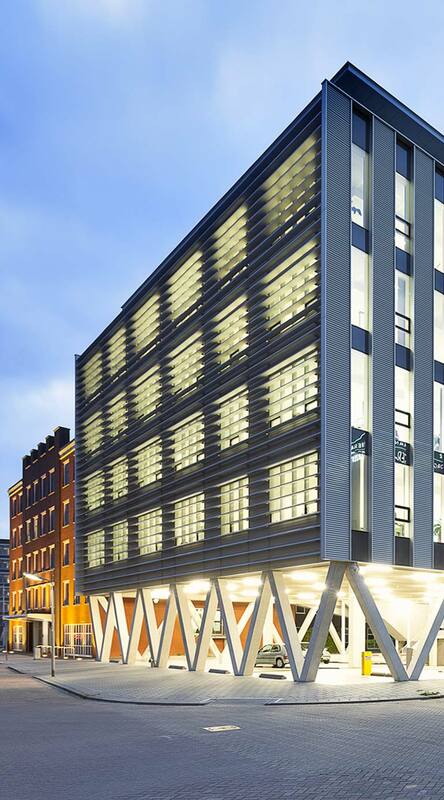 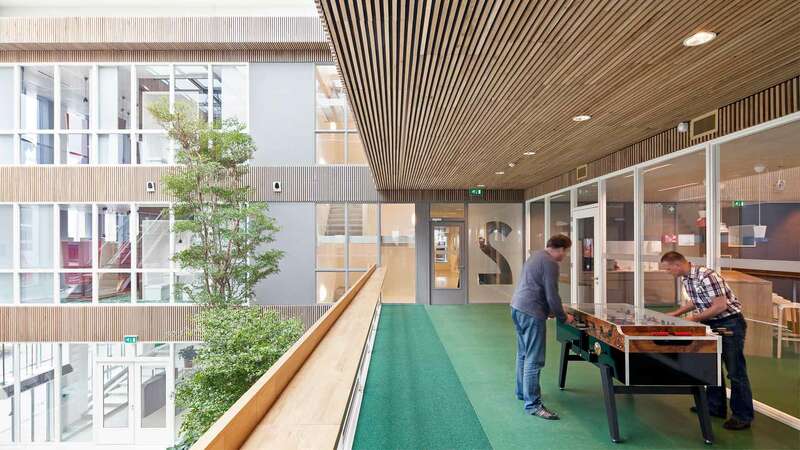 Ziggo has moved to a new highly sustainable Breeam excellent building in Leeuwarden. 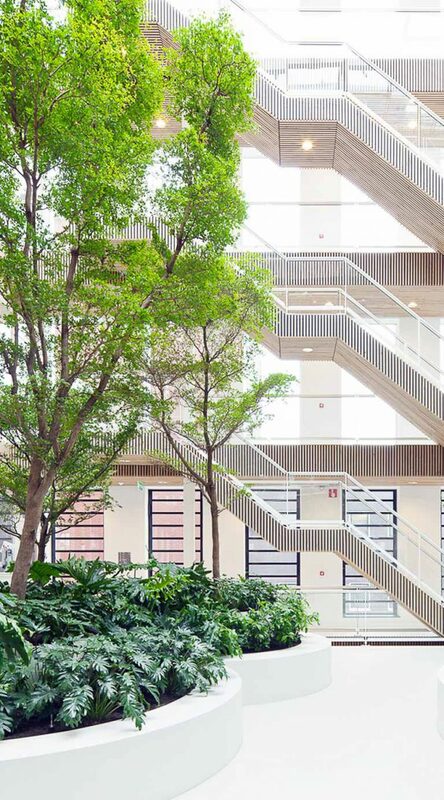 The building that has been designed by architectenbureau Paul de Ruiter, has large open office floors and two atria. 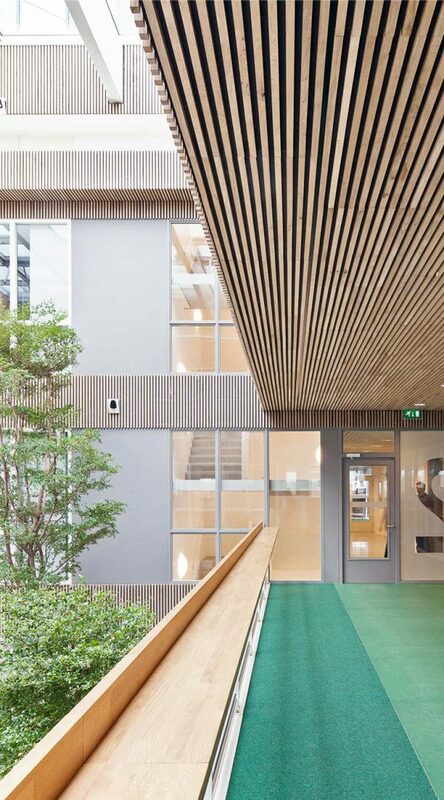 The use of geo thermal power as well as cooling the building with water from the Harlingertrekvaart and PV-cells on the roof, provide a robust saving of energy. 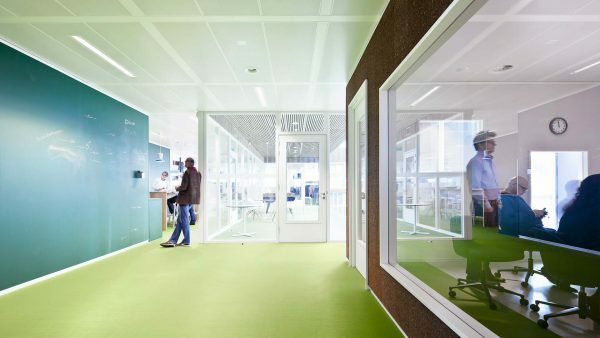 All these durable and energy saving techniques have to ensure that the building will be both Leed platinum and Breeam-NL certified. 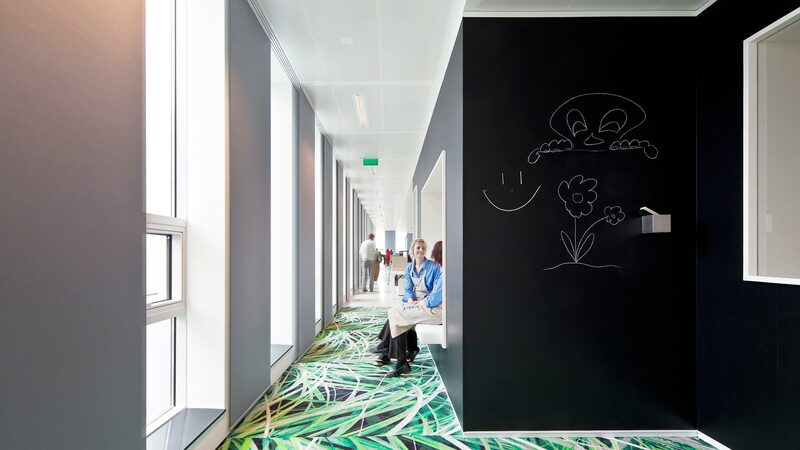 In addition to an eminent building, Ziggo ambitions was to increase the quality of the organisation and its accommodation. 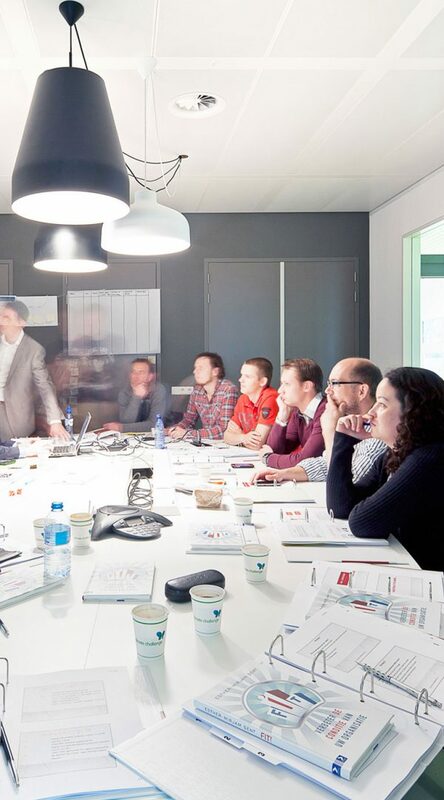 Transparency, communication, clarity and human are the key words. 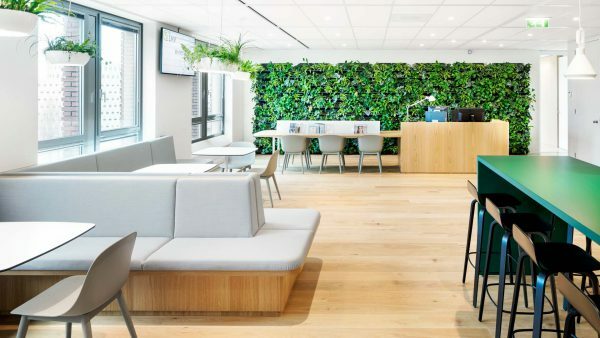 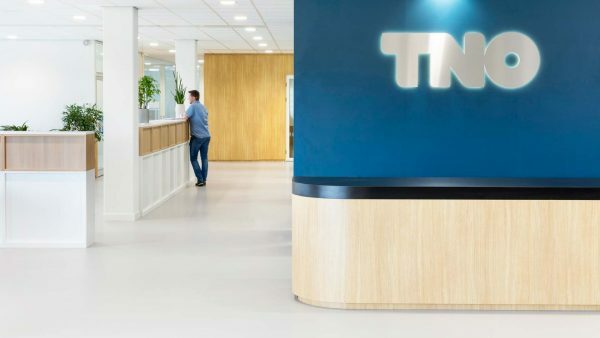 For the interior an expert team has been set up comprising of Hollandse Nieuwe, Concern, Inside Outside who, in close cooperation with Ziggo, have developed a renewed interior concept. 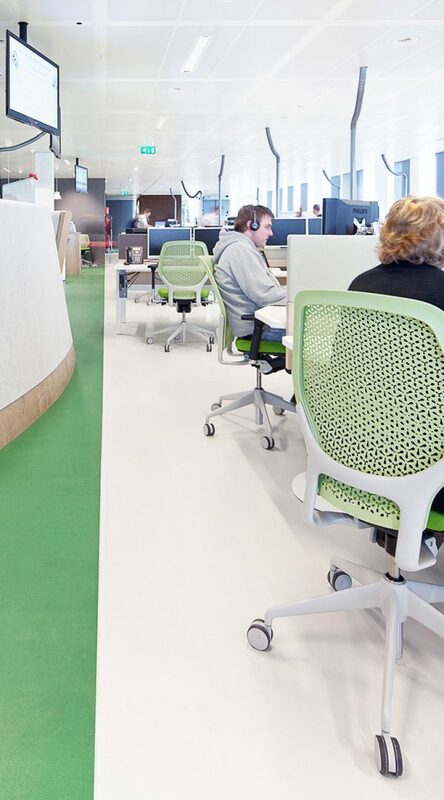 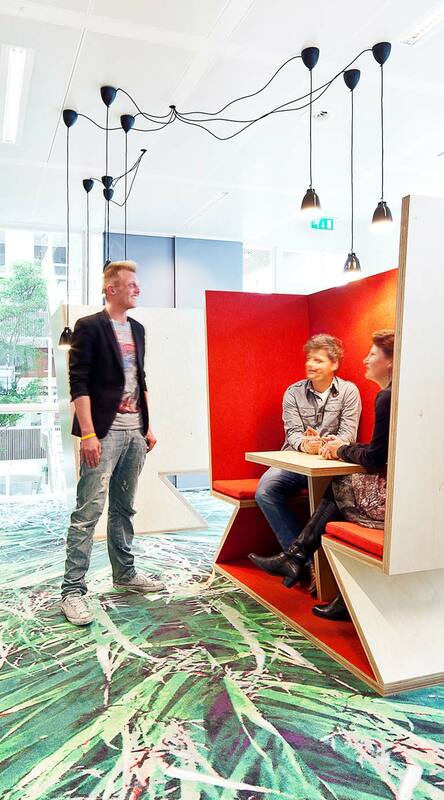 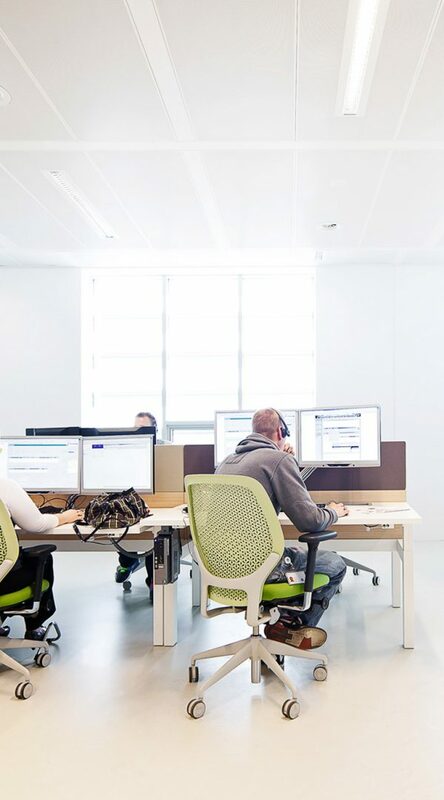 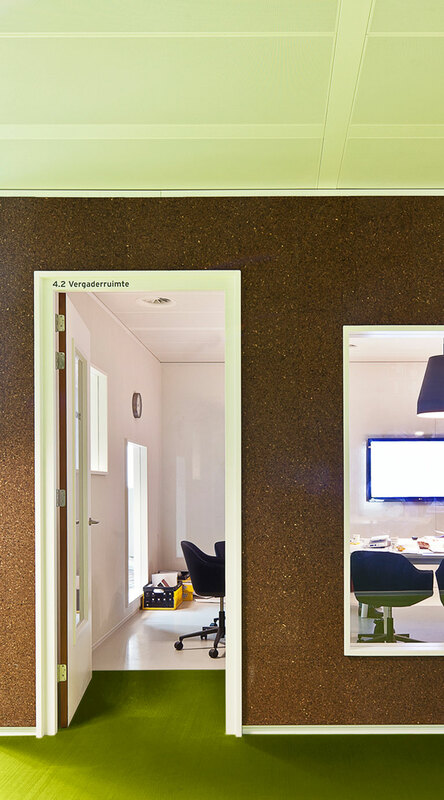 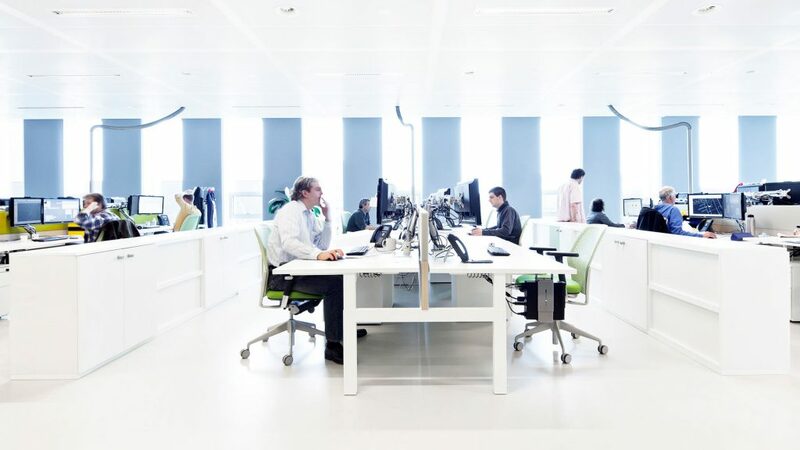 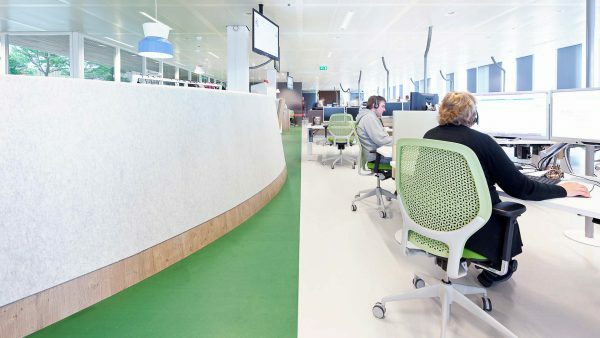 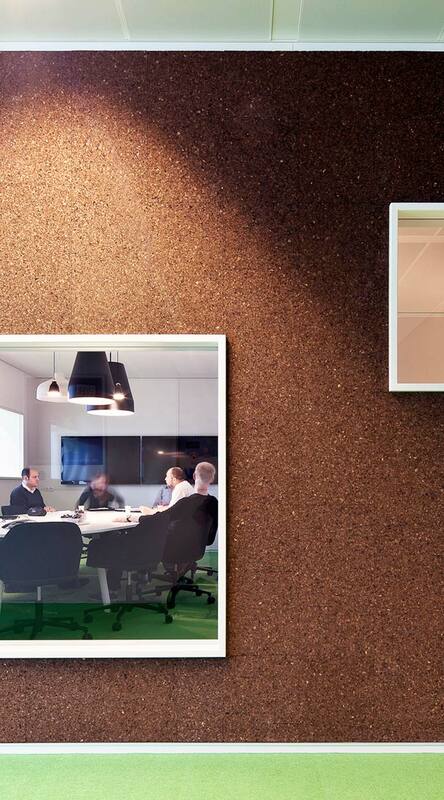 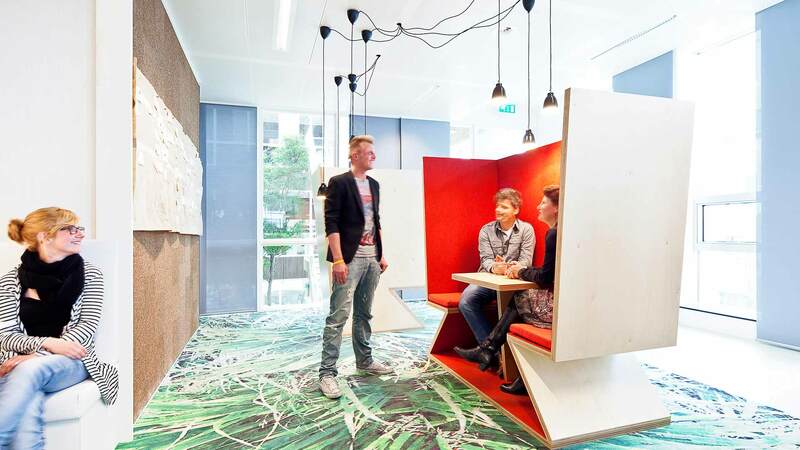 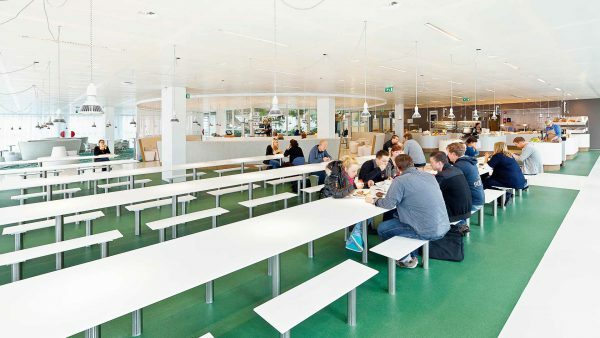 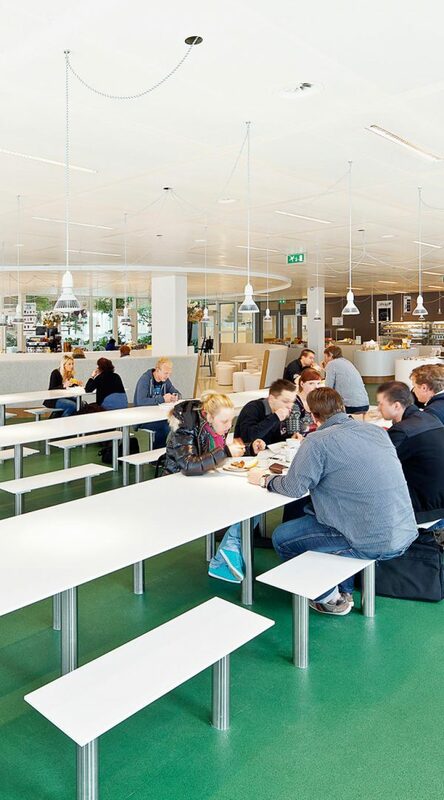 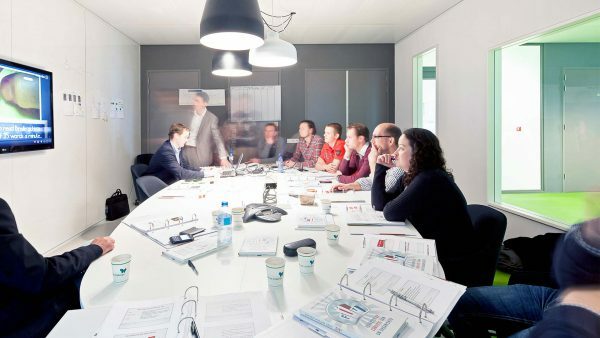 Hollandse Nieuwe is ultimately responsible for the design of the call centers and office floors. 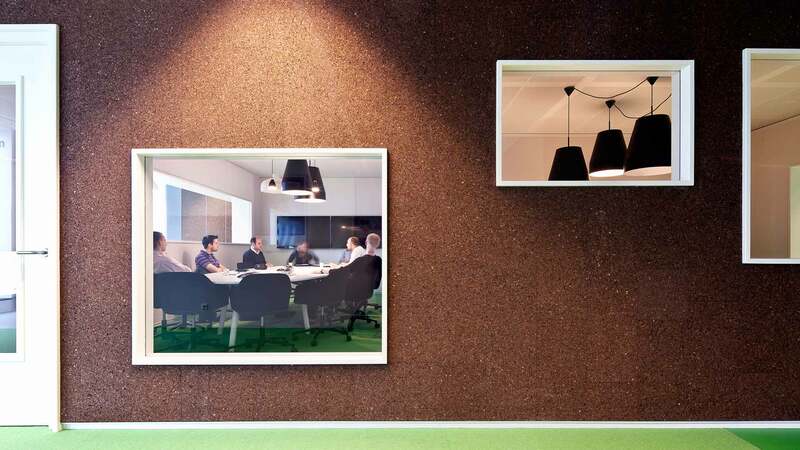 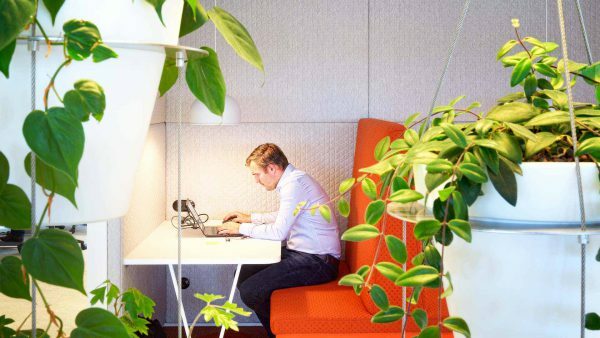 Ziggo Leeuwarden is Breeam **** certified.